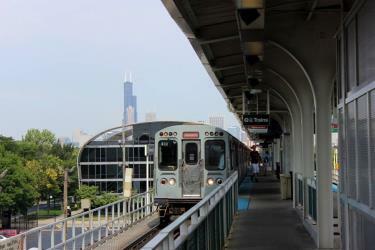 What is the cheapest way to get from Chicago Midway Airport (MDW) to Rosemont? The cheapest way to get from Chicago Midway Airport (MDW) to Rosemont is to drive which costs $2 - $3 and takes 31m. 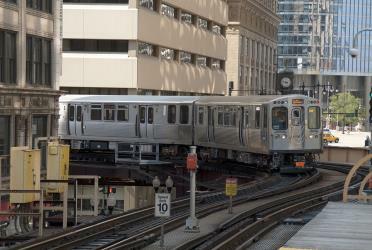 What is the fastest way to get from Chicago Midway Airport (MDW) to Rosemont? The quickest way to get from Chicago Midway Airport (MDW) to Rosemont is to taxi which costs $60 - $75 and takes 31m. Is there a direct bus between Chicago Midway Airport (MDW) and Rosemont? No, there is no direct bus from Chicago Midway Airport (MDW) station to Rosemont. 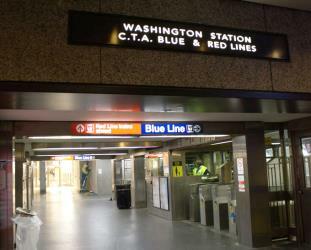 However, there are services departing from Midway Orange Line Station and arriving at O'Hare Airport Kiss-n-Fly via Archer/72nd Ct.. The journey, including transfers, takes approximately 1h 51m. How far is it from Chicago Midway Airport (MDW) to Rosemont? The distance between Chicago Midway Airport (MDW) and Rosemont is 16 miles. The road distance is 20.4 miles. 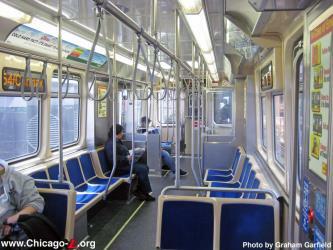 How do I travel from Chicago Midway Airport (MDW) to Rosemont without a car? 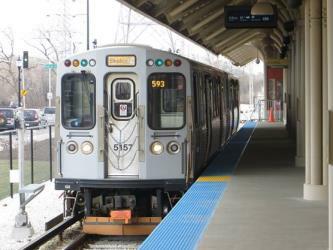 The best way to get from Chicago Midway Airport (MDW) to Rosemont without a car is to subway which takes 1h 7m and costs $4 - $9. How long does it take to get from Chicago Midway Airport (MDW) to Rosemont? It takes approximately 1h 7m to get from Chicago Midway Airport (MDW) to Rosemont, including transfers. Where do I catch the Chicago Midway Airport (MDW) to Rosemont bus from? 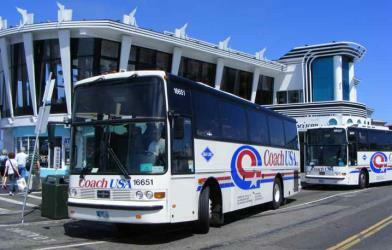 Chicago Midway Airport (MDW) to Rosemont bus services, operated by Pace Bus, depart from Archer/72nd Ct. station. Where does the Chicago Midway Airport (MDW) to Rosemont bus arrive? Chicago Midway Airport (MDW) to Rosemont bus services, operated by Pace Bus, arrive at O'Hare Airport Kiss-n-Fly station. Can I drive from Chicago Midway Airport (MDW) to Rosemont? Yes, the driving distance between Chicago Midway Airport (MDW) to Rosemont is 20 miles. It takes approximately 31m to drive from Chicago Midway Airport (MDW) to Rosemont. Where can I stay near Rosemont? There are 942+ hotels available in Rosemont. Prices start at $84 USD per night. What companies run services between Chicago Midway Airport (MDW), USA and Rosemont, IL, USA? 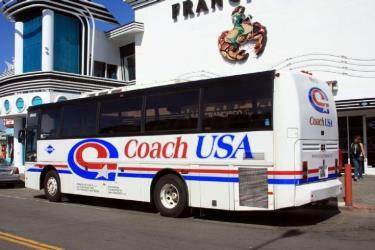 Coach USA operates a bus from Chicago Midway Airport (MDW) to Rosemont hourly. Tickets cost $13 - $25 and the journey takes 1h 40m. 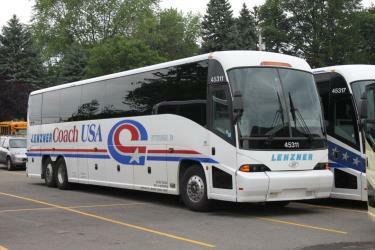 Peoria Charter Coach Company also services this route 3 times a day. Rome2rio's Travel Guide series provide vital information for the global traveller. Read our range of informative guides on popular transport routes and companies - including Travelling to and around Russia for the 2018 FIFA World Cup, How do I buy a London Underground ticket? and Italian Lakes: Getting around by train - to help you get the most out of your next trip. The Windy City, the third-largest in the US, is located alongside majestic Lake Michigan. Home to many world-class attractions, Chi-Town is easily one of the most visited cities in the country. Watch the Chicago Cubs at baseball stalwart Wrigley Field, go wild at Lincoln Park Zoo or wander down the Riverwalk for that big city feel, Get your dose of culture at one of the many museums, or head to the top of 360 Chicago (formerly the John Hancock Observatory) for some sky-high panoramic city views. Visit the Navy Pier for sightseeing by boat, and indulge in the dizzying flavours of the city’s unique deep-dish pizza. Allstate Arena is a multi-purpose arena in Rosemont, Illinois, United States. It is home to the Chicago Wolves of the American Hockey League (AHL) and the Chicago Sky of the Women's National Basketball Association (WNBA). It is located near the intersection of Mannheim Road and Interstate 90, adjacent to the city limits of Chicago and O'Hare International Airport. The facility opened in 1980 as Rosemont Horizon and seats 18,211 for basketball and 17,500 for ice hockey. Wrigley Field is a baseball park located on the North Side of Chicago, Illinois. It is the home of the Chicago Cubs, one of the city's two Major League Baseball (MLB) franchises. It first opened in 1914 as Weeghman Park for Charles Weeghman's Chicago Whales of the Federal League, which folded after the 1915 baseball season. The Cubs played their first home game at the park on April 20, 1916, defeating the Cincinnati Reds with a score of 7–6 in 11 innings. Chewing gum magnate William Wrigley Jr. of the Wrigley Company acquired complete control of the Cubs in 1921. It was named Cubs Park from 1920 to 1926, before being renamed Wrigley Field in 1927. The Chicago Botanic Garden is a 385 acre living plant museum situated on nine islands in the Cook County Forest Preserves. It features 27 display gardens in four natural habitats: McDonald Woods, Dixon Prairie, Skokie River Corridor, and Lakes and Shores. Located at 1000 Lake Cook Road, Glencoe, Illinois, United States, the garden is open every day of the year. Admission is free, but parking is $30 per car (free for garden members). Northwestern University (NU) is a private research university based in Evanston, Illinois, with other campuses located in Chicago and Doha, Qatar, and academic programs and facilities in Washington, D.C., and San Francisco, California. Rome2rio makes travelling from Chicago Midway Airport (MDW) to Rosemont easy. Rome2rio is a door-to-door travel information and booking engine, helping you get to and from any location in the world. Find all the transport options for your trip from Chicago Midway Airport (MDW) to Rosemont right here. Rome2rio displays up to date schedules, route maps, journey times and estimated fares from relevant transport operators, ensuring you can make an informed decision about which option will suit you best. Rome2rio also offers online bookings for selected operators, making reservations easy and straightforward.